Think warm thought on these cold winter nights. Happy New Year everyone. We hope you have had a wonderful and safe holiday season. We were fortunate to not travel this year at Christmas time celebrating locally with all the boys and their families. Our Christmas was wonderful as we really enjoy the smiling faces of Jace, Bella and Mason. Up until a few days ago we were having a very mild Winter. Even though the below zero temps now seem brutal they are basically a heat wave compared to last year this same time. We are suffering from a lack of snow. Not shoveling and plowing is fine but no snow means no insulation for the water lines and septic systems. We soon could be in jeopardy of some freeze ups if we do not get a few inches soon. Sandy and I plan on traveling to Florida in the next few days, maybe staying for a couple of weeks. This is the first extended trip to somewhere warm in a very long time. We will be back by the end of January to start our sports shows with the first being in Schaumburg Illinois. It runs from January 29th to February 1st. We will stay in the Chicago area for the Tinly Park High School show the following weekend, February 7th and 8th. We will take a break until we go to Eau Claire Wisconsin. That show runs from March 20th to the 22nd. That following week we will be at the convention center in downtown Minneapolis. That show starts the 25th of March and will end on Sunday the 29th. We would really love to see you all at one of the shows. We will keep posing the shows dates over the next few months to remind you. 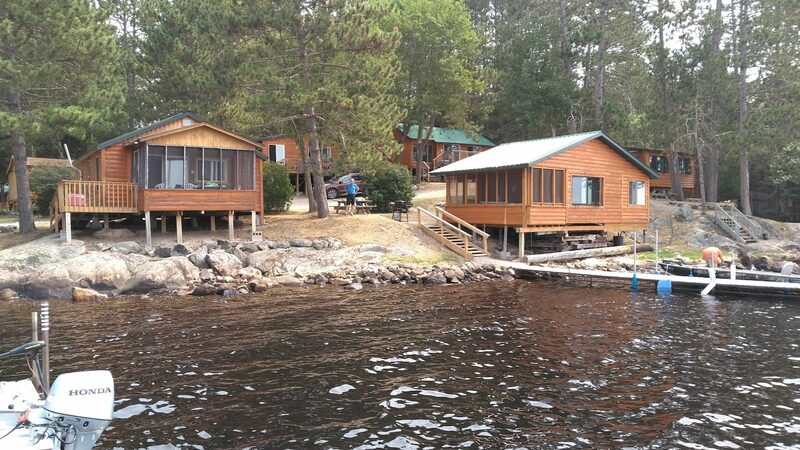 We have got a good start on the renovations in cabins 5 and 6. There will also be some improvements to cabin 23 next door which will be finished for the 2015 season. Stay tuned for updated pictures of the construction. The ice fishing has been in full swing for several weeks. Plenty if ice is on all the area lakes for snow machines and trucks. I personally have not been out yet but the word at the local watering hole says the fishing has been good for walleye and northern. I have not heard much on the crappie front. We plan on going today so watch the fishing report for some pictures, I hope.